Social well-being in Slovenia has been improving consistently. The level of human development is high. Men and women have almost equal access to healthcare, income and education, although the distribution of social power between the sexes remains unequal. This indicator presents the Human Development Index (hereinafter: HDI), which is an important indicator of the complexity of the relationship between income and well-being as well as the intertwinement and interconnectedness of economic and social policies. The HDI presents welfare in three areas of social development. It is composed of indicators that reflect achievements in three dimensions of human development – health (life expectancy at birth is used to assess length of life and health conditions), income or access to resources that enable people to achieve a decent standard of living (GDP per capita at purchasing power parity) and attained education level or knowledge (gross inclusion and literacy rate that indicate the combined rate of enrolment at various levels of education or literacy rate of the adult population). 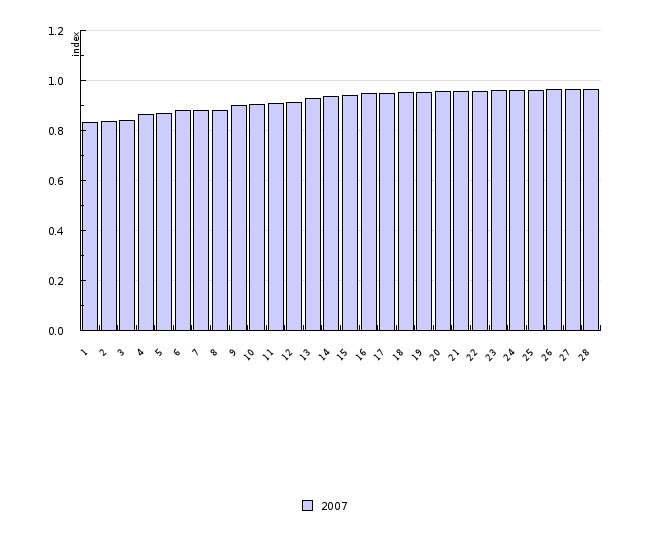 Despite certain methodological deficiencies, the HDI, in combination with other indicators, shows a sustainable increase of the Slovenian population's well-being. 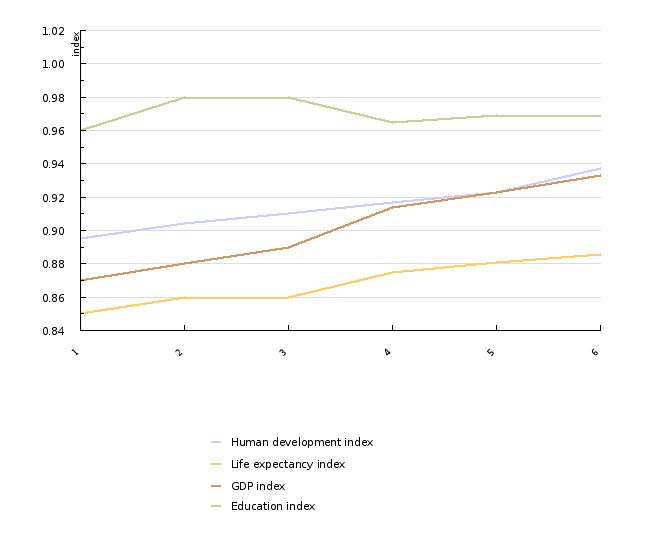 Human Development Reports 1990-2010 (UNDP, 2010). - keeping the Development Index above 0.9 into the future, which continues to rank Slovenia among countries with very high HDI.